BOOKSHELF TOUR RECOMMENDATIONS #5 // My Classics Shelf! Hey guys! Today I’m coming at you with another shelf in my bookshelf tour series and today I’m featuring my classics shelf! You guys have let me know that you’ve been enjoying this series and I’m really loving writing it so let me know what I should recommend next! Remember to click on the covers to go the Goodreads pages! BOOKSHELF TOUR RECOMMENDATIONS #4 // My Favourite Fantasy reads! Hey guys! Today I’m coming at you with a new Bookshelf Tour Recommendations post and today I’m finally talking about some of my favourite fantasy reads on my shelves! I know you guys have been enjoying this series and i’m really loving writing it so let me know what I should recommend next! Click on the covers to go the Goodreads pages! BOOKSHELF TOUR RECOMMENDATIONS #2 // We’re making this a regular thing! Hey guys! Today I’m coming at you with the second instalment in my Bookshelf Tour series! Today I’ll be recommending some of the contemporaries that I own and in the future, I plan on recommending some of my other favourite books! Total disclaimer: I don’t actually own too many contemporaries physically on my shelves, but I do have quite a few on my Kindle & Audible account, so I will only be talking about the physical books in this post, but I might include the others in another post in this series later on! 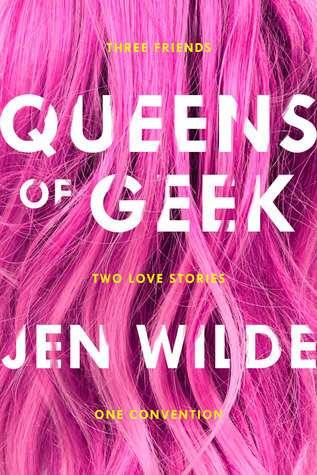 Queens of Geek is a really cute a really short and fun contemporary novel following three teens at a comic con type fan event. Basically, of these three teens, one is a YouTuber, one cosplays and the other is just happy to be there. Two of them have crushes on the each other (totally adorable oml) and the Youtuber has a crush on another Youtuber and EVERYONE IS SO CUTE YOU GUYS I AM STILL SCREAMING. This book doesn’t take much time at all to get through and it will make you want to scream with joy. All the characters are so much fun and if you have social anxiety (or just anxiety in general) you will RELATE. Also, the fan culture in this book is so much fun because like so much else in this book, it is just so darn relatable. This is one of the books I have most recently acquired and have read most recently. Originally, I read this at the library and I loved it so much that as soon as I finished it I had to buy my own copy! The main character is kind of nuts but also I loved her. The mc, Alex Craft is lovely but she is also a murderer, so… I don’t know what that says about me? I love Alex and Peekay (there are 3 povs btw) and I love how questionable and problematic Alex is. ALSO, THERE ARE DOGS (There’s an animal shelter, so trigger warnings for that). I know I just did a terrible job of describing that but, seriously this book is fantastic and I really really love it and wish more people would pick it up! I mean this is a given! Simon Vs is one of my favourite contemporaries, I don’t generally read and love this genre and I especially don’t re-read these books, but I re-read Simon all the time. 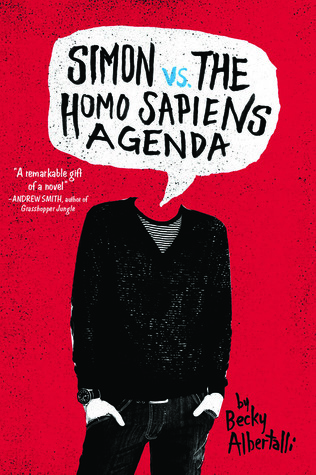 I really enjoy Simon as a character, and if I’m honest I think I enjoy the book just a bit more than the movie. The movie is fantastic and you should definitely go see it once you have the chance, but it does have a few issues that kind of rub me the wrong way (no spoilers, because I know it’s not out everywhere yet). That being said, this is a really fun book about cute boys, one horrible boy who should not have a redemption arc/scene and Oreos. Please read it if you haven’t already. Now, if you know me then you know this is one of my favourite childhood/middle-grade reads and whenever I do a MG centred post this (and The Golden Door) usually stars. HHH is one of my favourite stories, and whether that’s to do with nostalgia, the fact that it’s set across the street from where I live (which never happens) or because it’s just a fun family story, I don’t know, but I love this book either way. 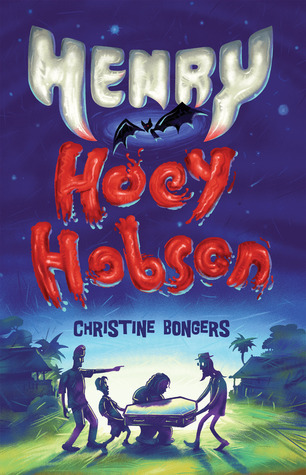 This is a cute book about a boy, coincidentally called Henry Hoey Hobson, and he’s just moved into his new home which means a new school, which means new neighbours and new friends. Except, that his new neighbours kinda act like vampires and the kids at his new school kinda think he’s a vampire (this is not paranormal, kids just have overactive imaginations) and that’s definitely not the best thing for everyone to be thinking. Plus, one of the neighbours is a wonderful cook and one of them is an author and one of them is an artist (& a tortured soul blah blah blah). 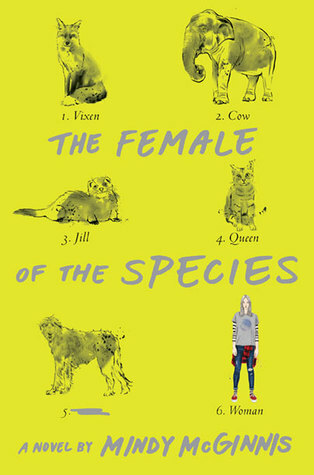 And, I just realised I did not describe this book very well but, please take my word when I say that i love it! DO YOU HAVE ANY FAVOURITE CONTEMPORARIES ON YOUR SHELVES? DO YOU LIKE BOOKSHELF TOURS?